Without realizing the formal process that went into choosing colors for the Spring and Fall Fashion Week Season, I have been enamored with the rich jewel tones of Emerald, and Saphire…. and love how they dance when paired with neutral beiges, or neutral taupe. I had no idea when i dyed a scarf last summer that I hit the stride of colors for the spring palate of Pantone 2013. 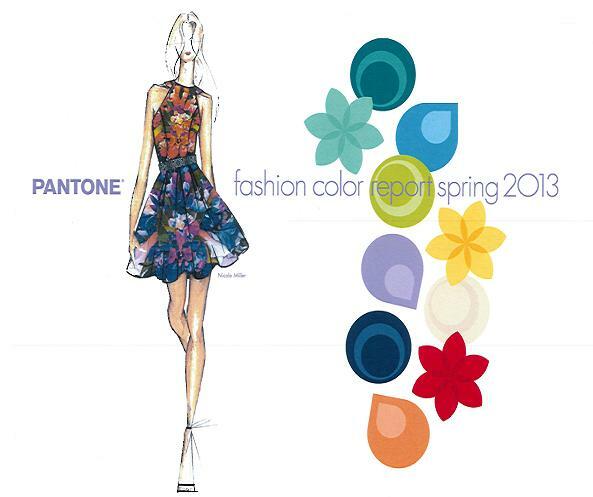 The colors of spring are exotic in name, vibrant in palete choice: Grayed Jade, Emerald, Dusk Blue, Tender Shoots, Lemon Zest, African Violet, Linen, Monaco Blue, Poppy Red and Nectarine. I already have a passionate love for Poppy Red, and have done some dying with Nectarine, however in limited quantity as the colors are so bold. But I was so exciting to be in sync with the colors and choices the fashion world is selecting for the coming season. 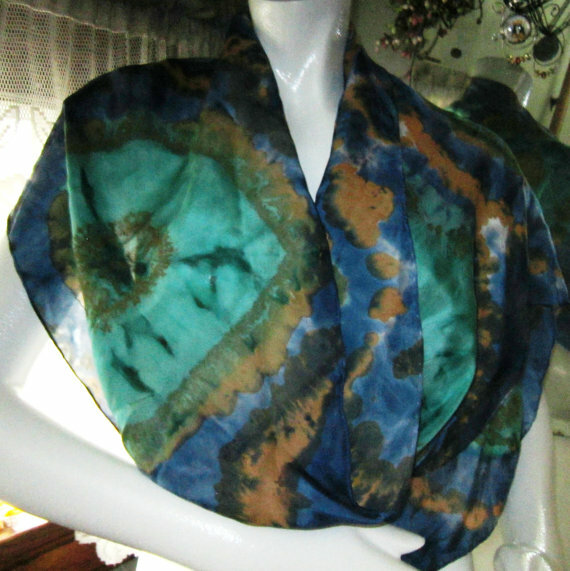 My emerald and monaco blue scarf shown above sold quickly. I will try to reproduce it, however when it comes to shibori i can never get the exact same results twice. I am eager to spend some time this weekend dying a number of pieces of silk – eager to see how I can incorporate the dusk blue…photos will follow.